A group of local residents were joined by Labour Councillors this weekend (Saturday 2 October) to help support a youth project in Stockwell and demonstrate some of the ways people can get involved in the co-operative model that Lambeth Council is currently piloting. 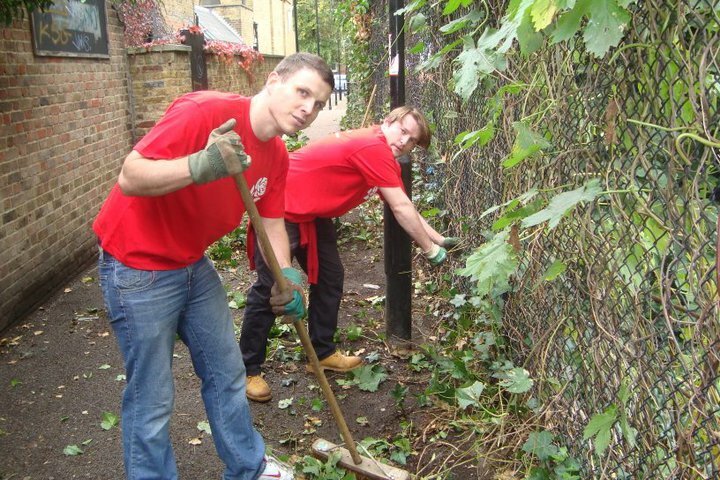 The volunteers took part in a new scheme that is being piloted by Stockwell Labour Party, called “Labour’s community action team” to get its members and other residents involved in donating their time to help out with local charities and projects. The group spent a day helping out at the Oasis Children’s Venture in Stockwell, a charity which runs a number of projects to help young people including an adventure playground, a nature garden and a go-kart track. The volunteers helped out with painting signs, clearing overgrowing trees and building a ‘living wall’ from compost. 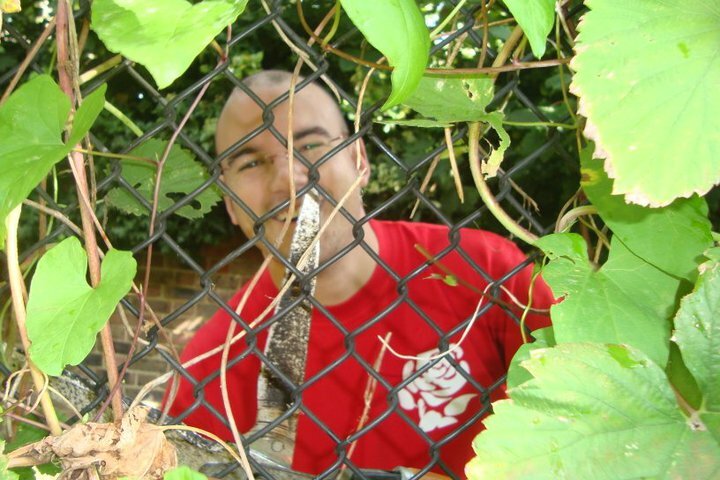 The work wasn’t just of benefit to the children that use the playground though - a passageway that runs along the site (between Larkhall Lane and Priory Grove) was cleared of overhanging foliage improving the look and security of the alley which is used by many Stockwell residents. 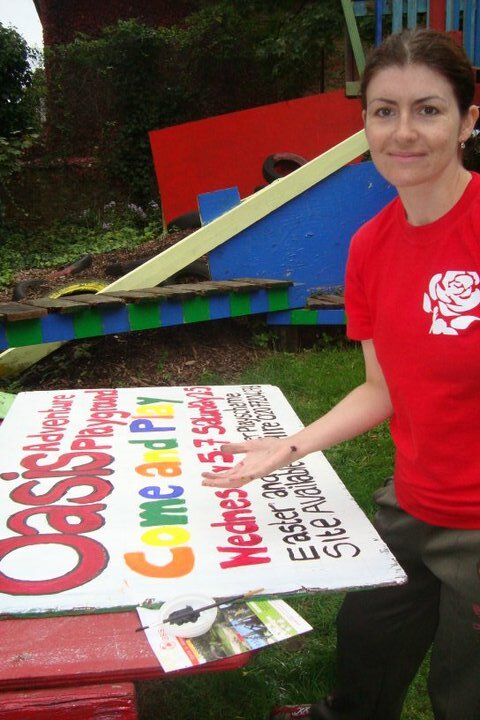 Councillor Imogen Walker, Labour member for Stockwell said, “It was fantastic to see what a difference just giving a few hours of your time can make to a local charity like Oasis. They provided the tools and advice so that the people who came could play their part in a scheme that relies on the support of many volunteers. This is just the start of our community action team who will be out on a regular basis doing our bit to contribute to improving our local area. To get involved in the community action team, please contact Morgan McSweeeney on morganmcsweeney@gmail.com or call 07739 200 068. While we're still trying to wrap our heads around the fact that 2018 is coming to a close, it's time to look ahead and start planning those New Year's resolutions. Most of us want to begin the year off with a fresh and healthy start, but oftentimes resolutions can be unrealistic or hard to maintain long-term. From waking up a tad earlier to working out at home and drinking plenty of water throughout the day, we've gathered up 10 of our favorite fitness resolutions that are easy for anyone to do all year-long. Keep reading for some healthy ideas that are good for both your body and your soul. Reebok has also focused on producing branded watches which quit easily acquired the entire market, nice article and good informations are here, thanks dude.